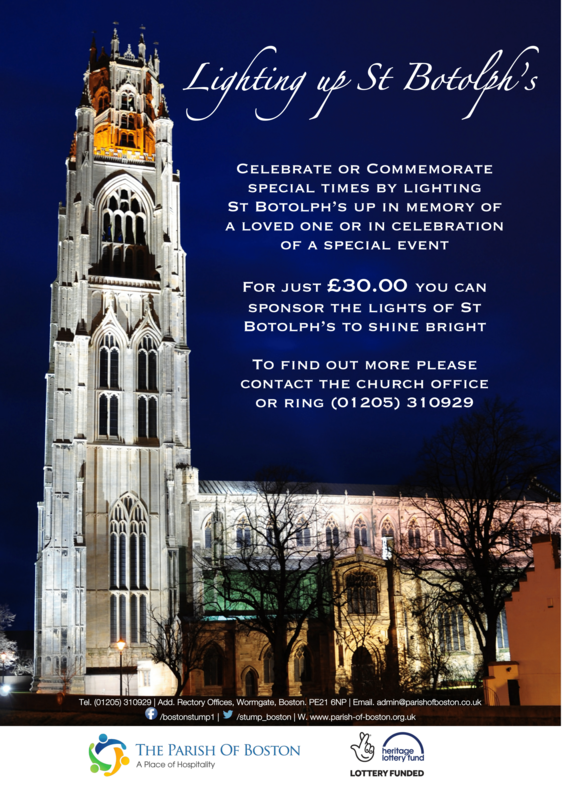 Did you know you can sponsor the lights of St Botolph’s to shine bright in memory of a loved one or to celebrate something special? For just £30.00 you can have the lights sponsored in someone’s name for an evening. As part of the cost, you will also get posters placed on our notice boards and on the south gates of St Botolph’s. The lights will be illuminated from 6pm through to midnight. Simply call (01205) 301919 or email chris.ladner@parishofboston.co.uk.